On Monday, the leaked set of documents now known as the “Panama Papers” directly or indirectly implicated no fewer than four players on my intramural water polo team in underhanded offshore financial schemes. I love this squad more than anything, but faced with the damning evidence, these world leaders had to go. Not going to sugarcoat it: This one hurts. The president of Argentina is our star offensive wing and one of the strongest swimmers on the whole team. As proud as I am of how he’s stepped up to spur our perimeter attack, my hands were tied after the Panama Papers showed that Mauricio had failed to disclose his connection to the Bahamian company Fleg Trading Ltd. As of yesterday, Mauricio Macri is indefinitely suspended, including for the playoffs, if we make it there. Boy. This was the toughest pill for us to swallow. 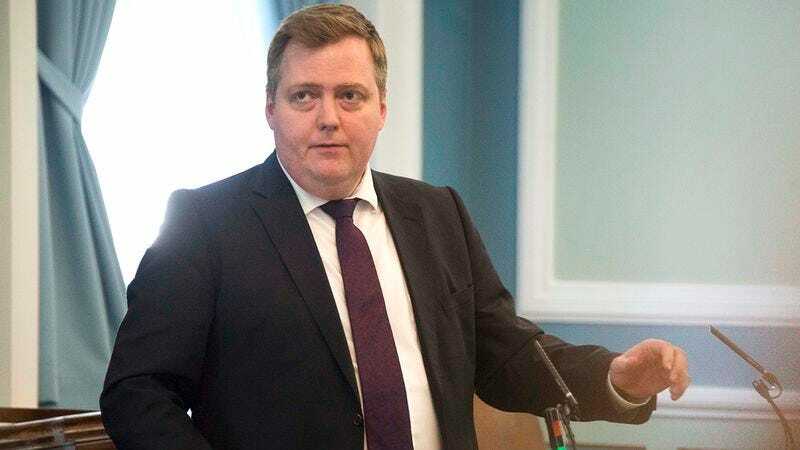 The Icelandic prime minister has always been the glue that holds this group together—not only is he a model teammate and an absolute brick wall of a goalie, but Siggy just plays water polo the way it was meant to be played. However, in light of the Panama Papers’ revelations that he co-owned a British Virgin Islands–registered company that had invested millions in his own nation’s banking sector, he had to be cut from our squad, even though that means we’ll have fewer subs the rest of the way. I’ll be blunt: The king of Saudi Arabia hasn’t been taking this league seriously all season. I know it’s just intramural, but if we’re all going to make the effort to show up at the pool and play the game every Thursday night, we might as well try to win. So when the Panama Papers revealed that he’d used an elaborate maze of shell companies to finance $34 million worth of luxury mortgages along with a yacht the length of a football field, it was a very easy decision to scratch him from the roster. I really hate to do this to someone like Vladimir, who’s been hustling up and down the pool all season long, but when the Panama Papers implied that my close friend helps run a $2 billion money-laundering ring, I just couldn’t keep him on our team. We can probably kiss the league trophy goodbye now, but it was the right thing to do. I just wish this all could have waited seven more weeks.